who is the best moving company? word-of-mouth and life-long fans, we now move 5,000+ clients every year. People are raving about us online! Why? Because, we really care, we don’t overcharge and we deliver what we promised! Along with your long distance, local, and commercial services, we also offer on-site relocations, storage, packing, and other Houston moving services, that connects you with local service providers. Additionally, we provide support for all our customers seven days a week. 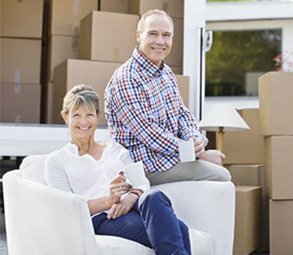 If you’re moving to Houston, provide us a call to learn more about those services and how Careful Mover’s big difference can make your move simpler. Contact us now for a free of charge no-obligation moving quote and learn how we will assist you on your move! At Careful Movers, we perform the work right every time. We all do all we can to make certain you’ll always be happy with your service, and even have a 100% satisfaction warranty to prove it. Certainly one of the fastest growing cities in Texas, houston, is primarily a bedroom community for a number of other industrial bases including Katy The Woodlands, Mission Bend, Brookshire and more. It is also one of the safest cities in the world. All our Houston movers are carefully screened and selected so that you know that your relocation is being handled by the best of their very best. Our movers are all clean cut and professional, who are always respectful and professional. They truly are trying to earn a bit of extra money and they’ll hustle to get it done whenever they’re not carrying out your possessions, our Movers will jog to and out of your truck. You’ll never have the ability to waive our movers of loafing around or extending out the job to earn money because we provide pricing plans for movements. In addition, we require exactly the moving team that loads your truck to be exactly the same team that unloads your vehicle. We want our movers to be responsible for the high quality. Since there are several golf courses and parks within town limits Individuals who love outdoor tasks will enjoy Houston. There are places and tasks to enjoy near the town, including Sugar Land, Richmond, Fort Bend County and more. Be sure to take a look at Careful Movers before you decide on yet another company, if you’re thinking of moving to Houston. We take pride. Tony and his movers were fantastic. They took great care of all our stuff! These guys arrived on time and were an hour under the time frame they gave me. Super impressed with how fast and hard they worked. Top rated on Facebook, Yelp and Google. Move need, simply call our 24 hour emergency number. © 2018 CAREFUL MOVERS. ALL RIGHTS RESERVED.